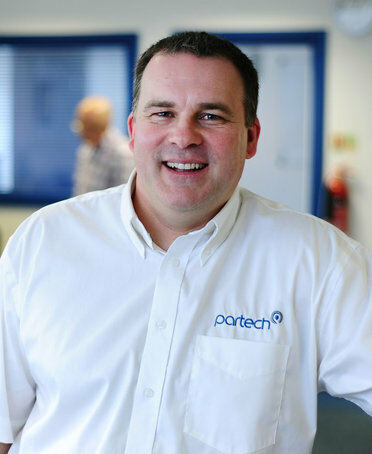 Partech Joint Managing Director Angus Fosten has been nominated for the position of Vice Chairman of the UK forum. Each member company can place their vote by 13:00 on Friday 30th June 2017 and the new Vice Chairman will be announced on Monday 3rd July 2017. British Water’s municipal forum provides a hugely important role, pulling together consultants, contractors and suppliers in a non-adversarial environment. This allows us to share experiences, ideas and problems to help us provide better, innovative solutions to the UK water industry. In 2018 Angus will celebrate 25 years in the water industry and will have visited more treatment plants than he could ever have imagined. Angus has experienced the highs and lows of many AMP cycles and has witnessed the water industry throw off it’s local authority past to become what it is today. The introduction of market reforms and the changes from outputs to outcomes are now shaping the next period of change. The concept of TOTEX is beginning to filter through and Partech are looking ahead to help the industry maintain customer satisfaction, environmental compliance and regulatory approval with progressively less resources. Partech manufacture monitoring and control products focused on water and wastewater treatment. Along with the majority of the water industry supply chain, Partech suffer from lack of visibility for future products, limiting the ability to contribute to project plans and respond to peaks in demand. Partech believe in early engagement with designers and specifiers, allowing advice to be provided on the benefits of applying the right products in the right applications. Angus says, “If elected I would champion the need for open communication between customers and their supply chain and look to help British Water members have a clear understanding of the ‘next’ requirement, allowing us to innovate and develop the top quality solutions that we are all capable of providing”. You can visit the British Water website to cast your vote. Please contact: [email protected] if you require further assistance or information.